24 January 2009 I talked with Caspar Verhaagen, before the Windsurfing.NL meeting. He noticed my review on this blog, I am quite happy with my Neilpryde extender. However he did had some comments and I do agree. (actually I experienced a few flaws). For everyone that doesn't know Caspar Verhaagen a short description. He is a dedicated dutch windsurfing enthousiastic. I know him as someone that has done high quality research in windsurfing products. And his products are top of the line (like Caspar Speed fins). With his advice & knowledge he does help a lot dutch proriders, but also his articles in dutch magazines are populair for amateur sailors. 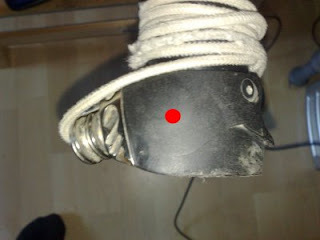 The adaptor to pin mastfoot systems is really dangerous. Maybe you have experienced, or else you will experience the mastfoot to eject from the extender DURING sailing. I have experienced this with another system, and can guaranty you will crash hard, and on open water the chances of loosing your board is big. Of course it is possible to fix this problem to with a pin-system, Caspar made his and a few other extenders safe, only this one you need a high acuracy. I won't recommend to do this at home. If you are intrested please comment or contact. Best solution for most windsurfers is to use the Neilpryde Power M-Base, I use this one and it feels very safe. 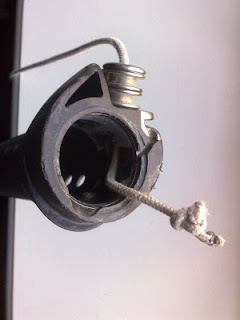 Main advantage of using NP Power M-base is that you can put the rope into the extender, no need to wind it around the extender, and never problems of rope comming loose from extender. The Pryde MXT system is by far the best there is, but beware of the first gen of the Power M-Base, they too could come off during sailing. I modified mine to get the spring to be stiffer, and that worked. Got new ones from Pryde later on, and they work perfect! I think my M-base is new one, the spring does feel stiff enough. But a good tip, because I can imagen that some shops do have old stock and you can still end up with a 'bad' M-base. Yesterday I got my mxt-package: 2 power m-bases + 2 extenders (2008 14cm + 2009 34 cm). 1 week ago my brother also got his MXT 48cm + M-base from me and some friends for his birthday. I know you & your girlfriend will like this system! quote: Caspar made his and a few other extenders safe, only this one you need a high acuracy. I won't recommend to do this at home. If you are intrested please comment or contact. The best thing you can do is using the Neilpryde mastfoot, not a mastfoot with a pin. The Neilpryde mastfoot (power M-base) is safe as it gets. ONLY make sure it is a newer model. Neilpryde claims you have to replace the mastfoot after 200 hours of sailing, my mastfoot has something like 200 hours on water and the plastic is on a lot parts worn out. The total margin between the parts is 5mm vertical and 10mm sideways, that is to much. Soo 200 hours is indeed the lifetime of the Neilpryde Power M-base, after that replacement is indeed very recommended. yesterday i have got the MXT with adaptor. I have made a good "knote" and pushed the adaptor in the extender. Had to push hard so it should me sit very good. it is hard to get the adaptor out again. any tips for that? 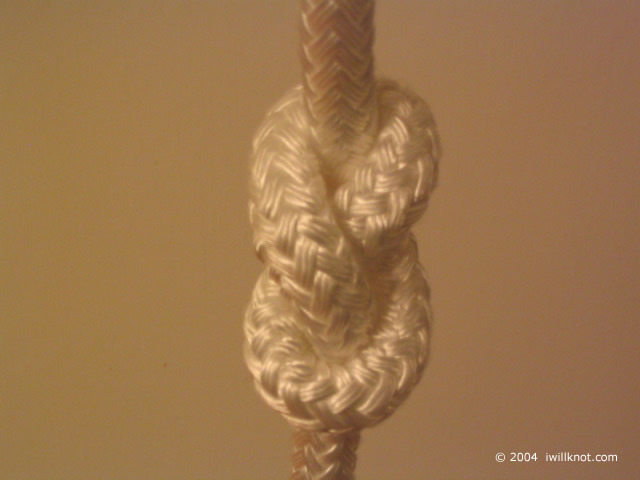 i want to check the knot again. Hi, I am interested in the 'fix' for the pin adapter system. Is it the pin that releases from the adapter? or the adapter from the extender? (I do not want to go to M base: want to use a Boge joint with pin and not a 'pees'. Also I saw that the silver 2009 had s slightley different adapter shape? -Check if your adapter has low margin inbetween all parts. When the margin is big it could be a wrong match. There now seems to be an X6 UXT, An X6 MXT with the Adapter permantently fitted. Does that solve the pin problem? Why are you back to Arrows? I also have 2 of them, they are great. I'm looking for an extra 40cm extension. The Arrows Xtension is always good and reliable. I hoped the MXT would be even beter. You could buy it when you're interested?